We are pleased to announce we will be returning to the The Telford International Centre for 2019 . All full conference passes include access to all days and all professional streams. Full conference passes also include a seat at the IRRV Performance Awards Gala Dinner and access to the exhibition. Day passes allow access to all sessions and if applicable all streams on the given day along with access to the exhibition. Valuer day passes allow access to the valuation professional stream sessions. Retired member Pass allows complementary access to all sessions and the exhibition. It does not include the Awards Dinner. * No delegate/exhibitor pass includes accommodation. * Cheapest pass free. This discount will only be made available to delegates attending from the same organisation. Bookings must be made at the same time. At least one of the delegates must be a member of the institute in order to receive this discount or alternatively if the organisation subscribes to the Forum or Benefits Advisory Service then they will also be able to receive the discount. For details on how to become a member click here. To subscribe to the Forum Service, please click here. To subscribe to the Benefits Advisory Service, please click here. Please note these passes are only available to employees from non commercial companies and applications are considered on a case by case basis. Delegates attending the event should collect their badges from the Registration Desk located in the foyer. Passes can only be used by the person whose name is printed on the badge. If a person is found to be using the badge of another person, they will be asked to leave the event. This will jeopardise attendance for that delegate at future IRRV events. 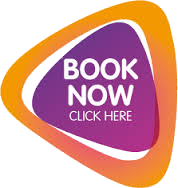 If you would like to book your place at the this year Annual Conference please click BOOK NOW at the top of this page. Please note in order for your booking to be processed you must have a purchase order number. Enquiries can be made by email to conference@irrv.org.uk or by telephone 020 7691 8987. Places are limited to this event however priority will be given to finalists, sponsors, exhibitors and delegates until the 31st August after this date bookings will be opened up to those not supporting the event. If attendance to the dinner is not included in the pass(es) that you have booked but you would like to attend this event then please contact conference@irrv.org.uk price is quoted upon application.